You get a high quality 24AWG Micro USB charging cable with iPhone-Lightning and Type-C adapters attached. USB to Micro USB with iPhone-Lightning and Type-C adapters attached. - Micro USB charging cable with iPhone-Lightning and Type-C adapters attached ( free gift ). Micro USB Ladekabel. 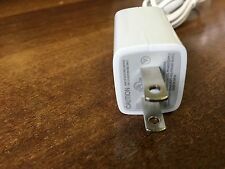 Auf der Suche nach einer Powerbank, aber die einzigen verfügbaren sind sperrig und schwer in Ihre Tasche passen?. Die Power Bank V502 ist der perfekte Reisebegleiter. Verwendet Qualitätszelle A mit langer Lebensdauer. Micro USB charging cable ( free gift ). USB to Micro USB. - User Manual. Cable Type. 2A charging and higher is dependent on phone model. Cable Length. Product Image Gallery. High Speed with Integrated Smart IC for Fast Charging. Micro USB charging cable ( free gift ). USB to Micro USB. Cable Type. 2A charging and higher is dependent on phone model. Cable Length. High Speed with Integrated Smart IC for Fast Charging. 18 Month Limited Warranty. Micro USB charging cable ( free gift ). USB to Micro USB. Cable Type. Power Banks. 2A charging and higher is dependent on phone model. Cable Length. High Speed with Integrated Smart IC for Fast Charging. Specifications: SPN5810A. We Will Try Our Best To Reply Back With In 24 Hours. I760 i830 i836 i365 i870 i875 i880I530 i560,I205,, I730. Overhead and expenses are too high. Once the order leaves our facilities is costly. We Will Try Our Best To Reply Back With In 24 Hours.